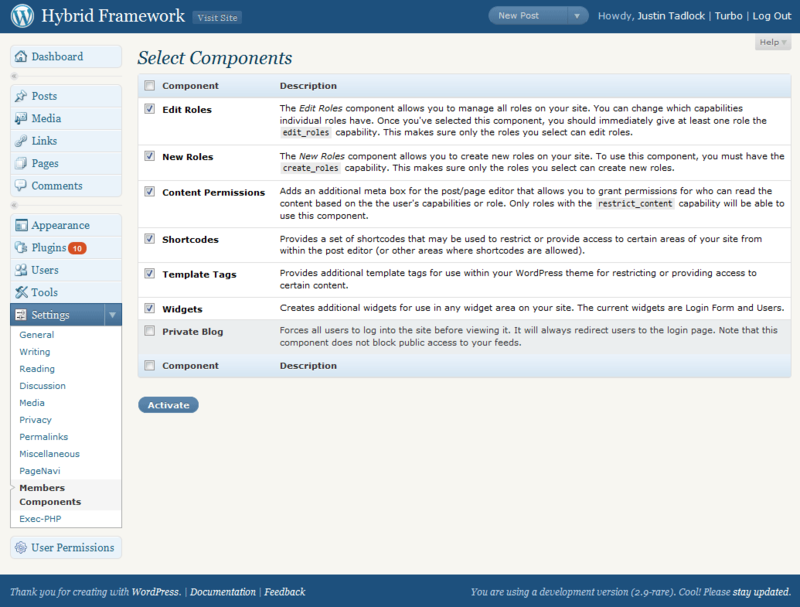 The Members plugin is a user, role, and content management plugin. Its purpose is to make WordPress a more powerful CMS by giving you fine-grain control over the users of your site. I created this plugin because I wasn’t satisfied with the current user, role, and permissions plugins available. Yes, some of them are good, but nothing fit what I had in mind perfectly. Some offered few features. 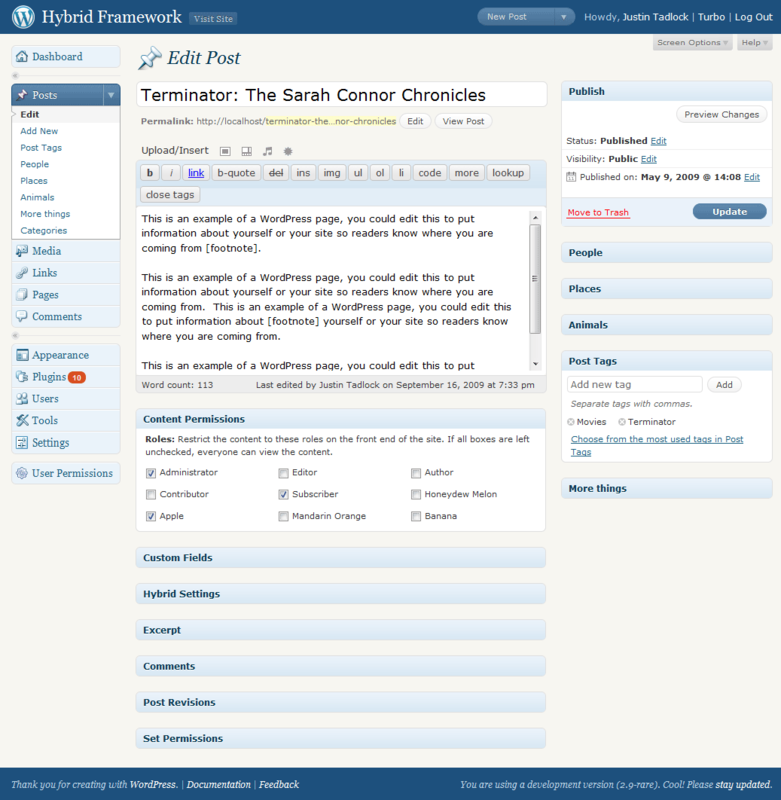 Some worked completely outside of the WordPress role and capability system. Others lacked an appropriate license. This plugin is still a long way away from my goals, but it’ll get there eventually. Members has what I call “components.” Instead of normal plugin settings, you get a components-selection page that allows you to choose only the features that you want to use. Edit Roles: Edit your user roles and their capabilities. 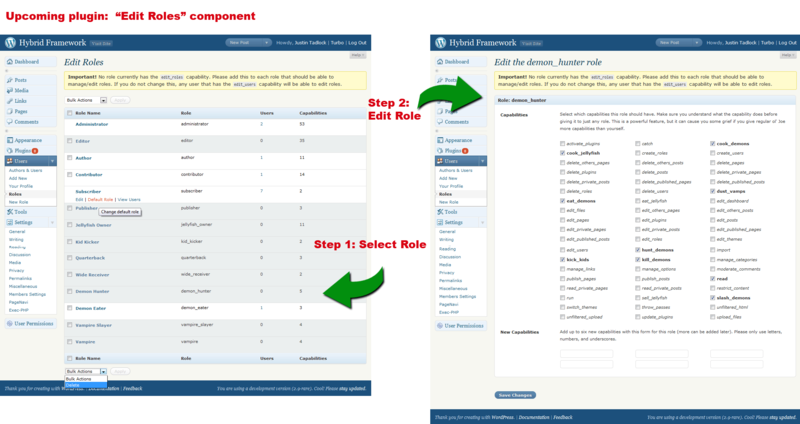 New Roles: Create new roles for use on your site. Content Permissions: Adds a meta box on your write post/page editor that allows you to restrict content to specific roles. Widgets: Adds a login form widget and user-listing widget that you can use in any widget area on your site. Shortcodes: Creates shortcodes that you can use to restrict or allow access to certain parts of your posts and pages (or any other shortcode-capable area). 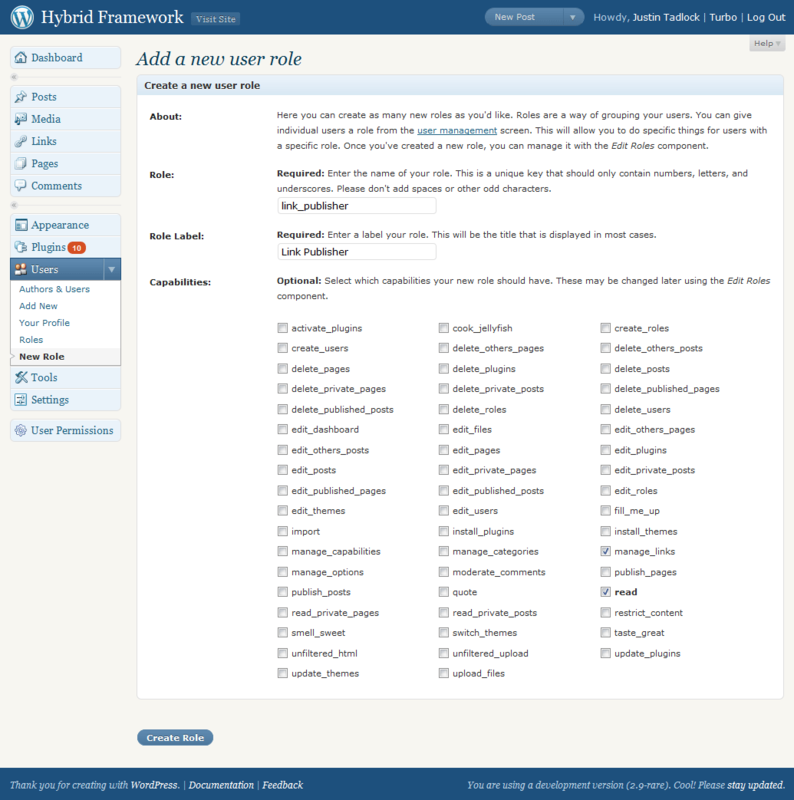 Template Tags: New functions for use within your WordPress theme for various things. Private Blog: Allows you to create a private blog that can only be accessed by users that are logged in (redirects them to the login page). Version 0.1 has been all about role and capability management, but that’s just the beginning. Version 0.2 will be about user management. But, it’s not all about my ideas. I’ll be working through many of the ideas presented in my original post on this plugin. I’m also open to any new ideas you might have. Before using this plugin, please read the readme.html file included in the plugin download. It will guide you through everything you need to know about using it.